Values, attitudes, and beliefs have been depicted in movies since the beginning of the film industry. Educators will find this book to be a valuable resource for helping explore character education with film. 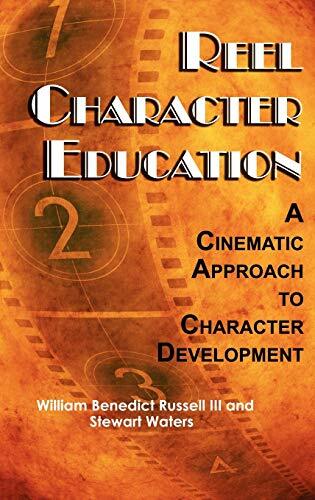 This book includes an overview of the history of character education, a discussion of how to effectively teach with film, and a discussion about analyzing film for educational value. This book offers educators an effective and relevant method for exploring character education with today's digital and media savvy students. This book details how film can be utilized to explore character education and discusses relevant legal issues surrounding the use of film in the classroom. Included in this book is a filmography of two hundred films pertaining to character education. The filmography is divided into four chapters. Each chapter details fifty films for a specific educational level (elementary, middle, high school, and postsecondary). Complete bibliographic information, summary, and applicable character lesson topics are detailed for each film. This book is clearly organized and expertly written for educators and scholars at the elementary, middle, high school, and postsecondary levels. William B. Russell III, at The University of Central Florida. He serves as the Social Science Education Ph.D. coordinator and teaches social science education courses. His research interests include teaching with film and alternative teaching methods for the social studies. Dr. Russell is the author of Using Film in the Social Studies, Civil War Films for Teachers and Historians, and numerous articles in professional journals. Dr. Russell serves as the executive director for The International Society for the Social Studies (www.TheISSS.org) and is the editor of The Journal of Social Studies Research. Dr. Russell earned his Ph.D. in Social Science Education from Florida State University, and prior to moving into higher education, he taught middle and high school social studies in Florida.